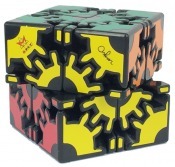 David Gear Cube is a geared twisty puzzle inspired by the Gear Cube. 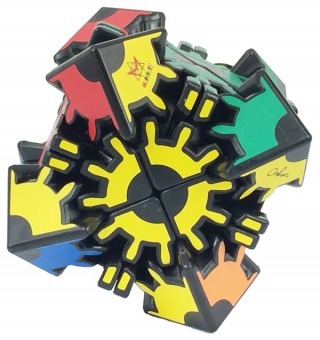 It was conceived by David Tzur (previously known as Alex Polonsky) and developed by Oskar van Deventer, one of the world’s most prolific puzzle designers. 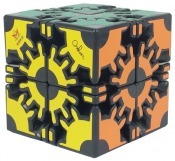 This puzzles combines a corner-and-center-turning gear cube with a twisty 2x2x2 cube. 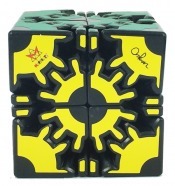 Whereas it is easy to return the puzzle to its cubic shape, it is quite a challenge to get all gear segments to their right face, and even harder to solve the puzzle as a whole.